I began the York Revolution’s 2011 season as the photo intern at The York Dispatch and ended it as a full-time staff photojournalist at The York Daily Record. It’s been an interesting journey. Slowly but surely, as I followed the Revolution from spring training to their Atlantic League Championship win, I became a better baseball photographer, as well another of the team’s and fans’ superstitions. I am so glad and thankful that I had the opportunities to do this. © 2011 by The York Dispatch. York Revolution pitching coach Mark Mason, far left, gives a few pointers to the pitchers during the first day of spring training at Sovereign Bank Stadium on Monday, April 18, 2011. 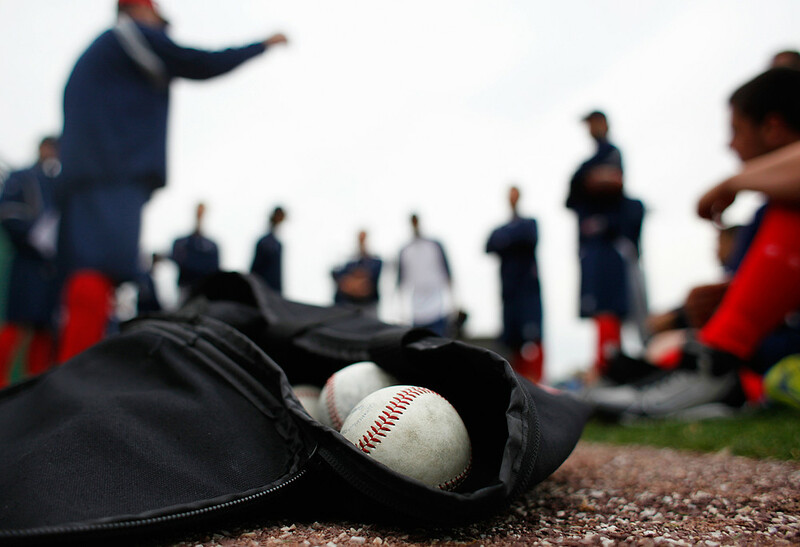 Monday, April 18, was the York Revolution team's first day of spring training for the 2011 season. 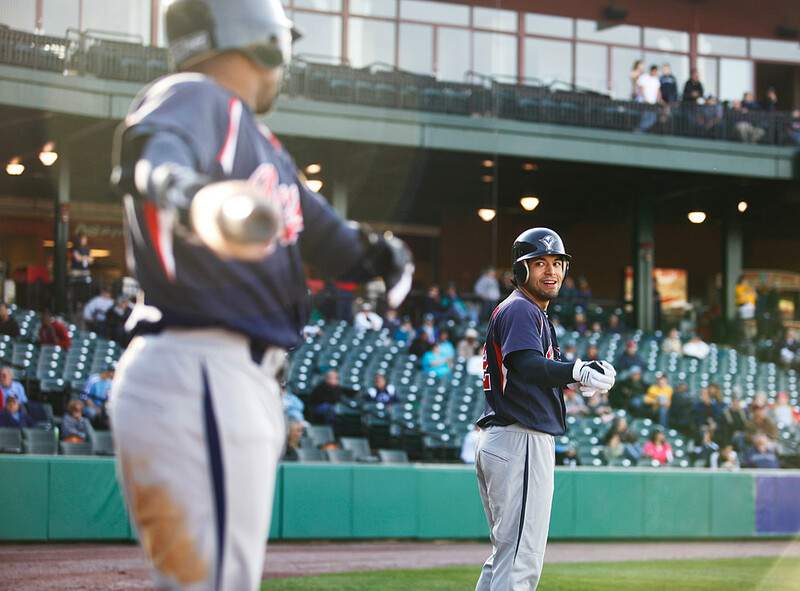 The team plays its opening game on Friday, April 29, at home against the Camden Riversharks. © 2011 by The York Dispatch. York Revolution outfielders Chris Walker and Scott Grimes warm up before batting in the ninth inning against the Heroes of the Diamond on Saturday, April 23, 2011, at Sovereign Bank Stadium. The York Revolution tied 6-6 with the Heroes of the Diamond, a traveling team of former and active-duty military personnel. Because it was an exhibition game, the teams did not play overtime innings. © 2011 by The York Dispatch. After diving into the crowd behind home plate, York Revolution catcher Octavio Martinez shows the ball he successfully caught bare-handed after Camden Riversharks outfielder Drew Macias' bat in the third inning of the Revolution's opening day game on Friday, April 29, 2011, at Sovereign Bank Stadium. 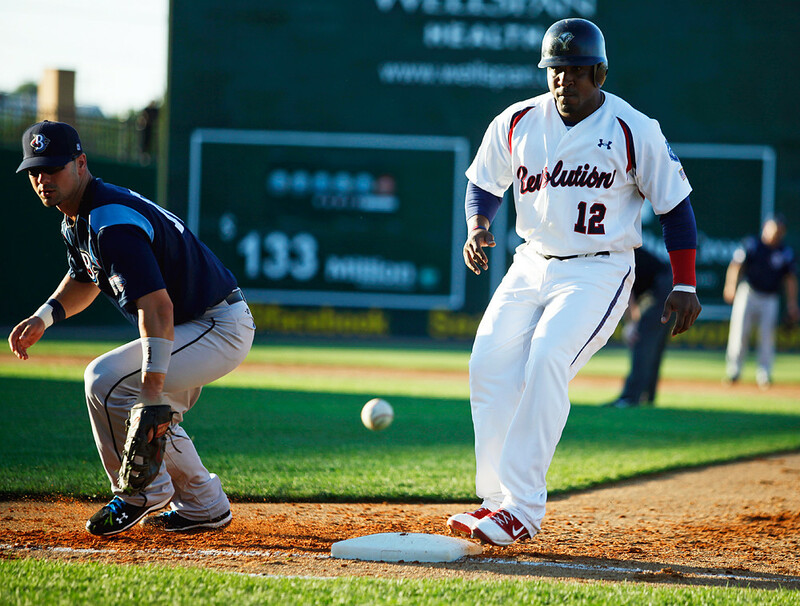 The Revolution defeated the Riversharks 8-2. 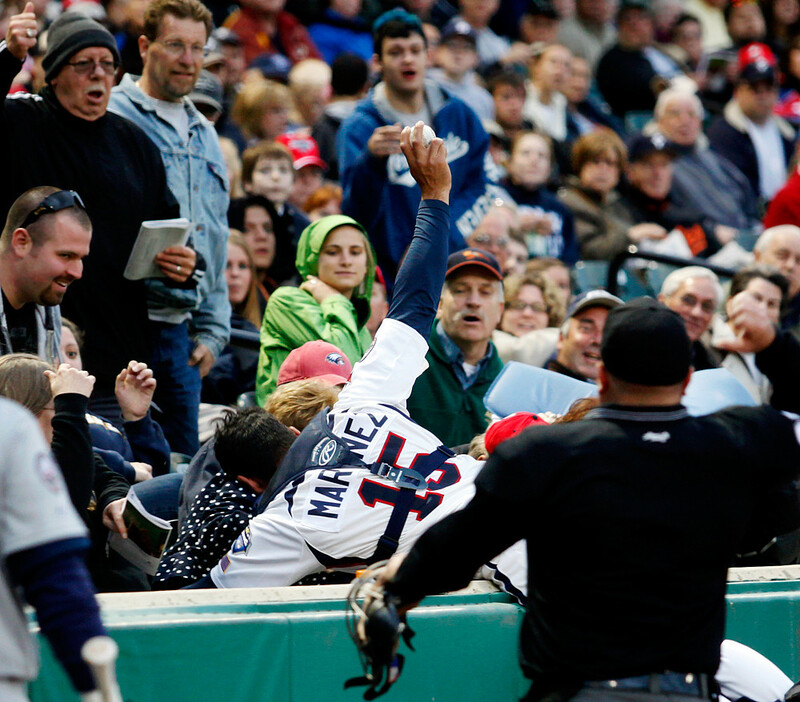 © 2011 by The York Daily Record/Sunday News. 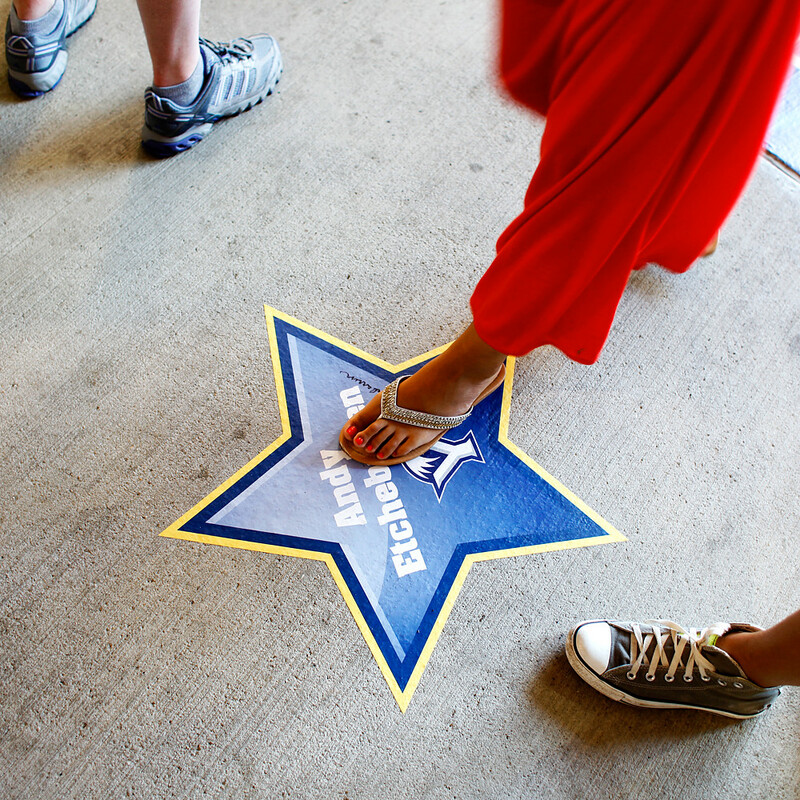 Fans walk over York Revolution manager Andy Etchebarren's star as they enter Sovereign Bank Stadium via the main entrance on Wednesday, July 13, 2011, before the 2011 Atlantic League All-Star Game. © 2011 by The York Daily Record/Sunday News. 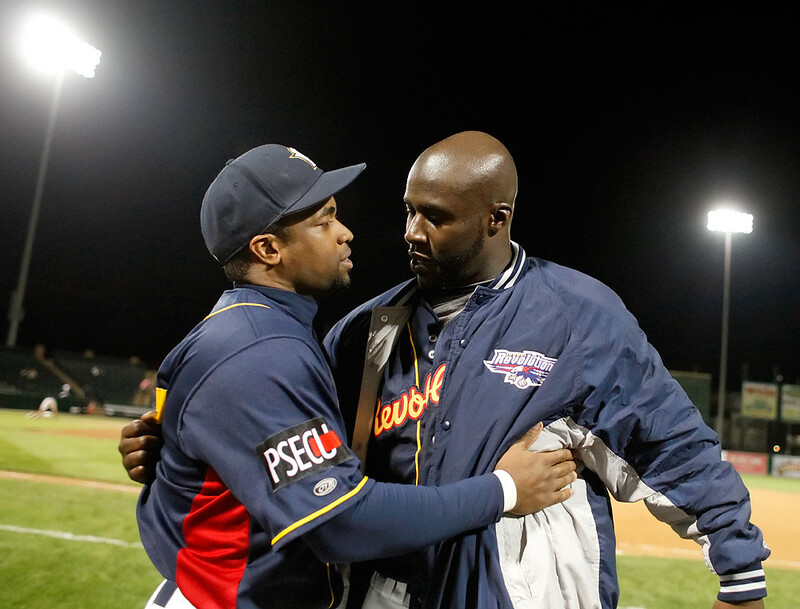 York Revolution outfielder Chris Walker and pitcher Corey Thurman hug and exchange words after the Revolution defeated the Bridgeport Bluefish 8-2 in the first game of a doubleheader in their drive to clinch a playoff spot on Thursday, Sept. 15, 2011, at Sovereign Bank Stadium. © 2011 by The York Daily Record/Sunday News. York Revolution outfielder Chris Walker heads onfield during the second inning of the second playoff game on Thursday, Sept. 22, 2011, at Sovereign Bank Stadium. The Revolution defeated the Lancaster Barnstomers 4-1. © 2011 by The York Daily Record/Sunday News. 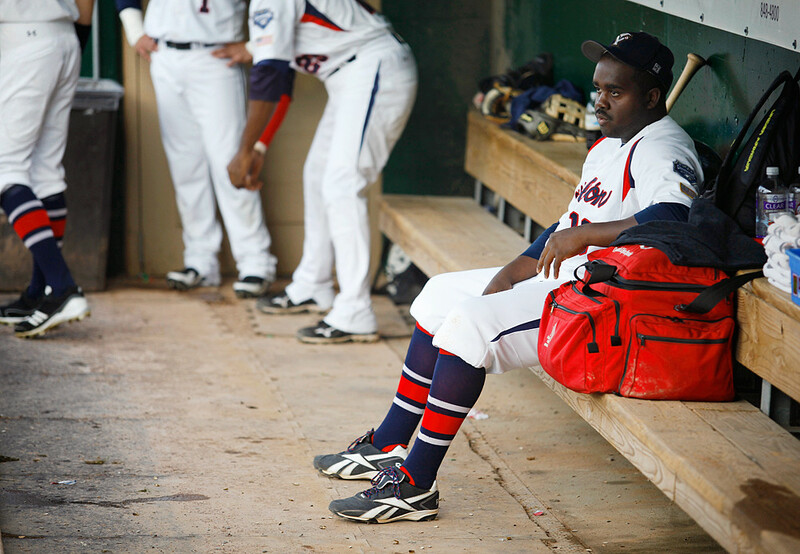 York Revolution third baseman Vince Harrison waits in the dugout before his name is announced in the starting lineup before Game 3 against the Long Island Ducks in the Atlantic League Championship series on Friday, Sept. 30, 2011, at Sovereign Bank Stadium. 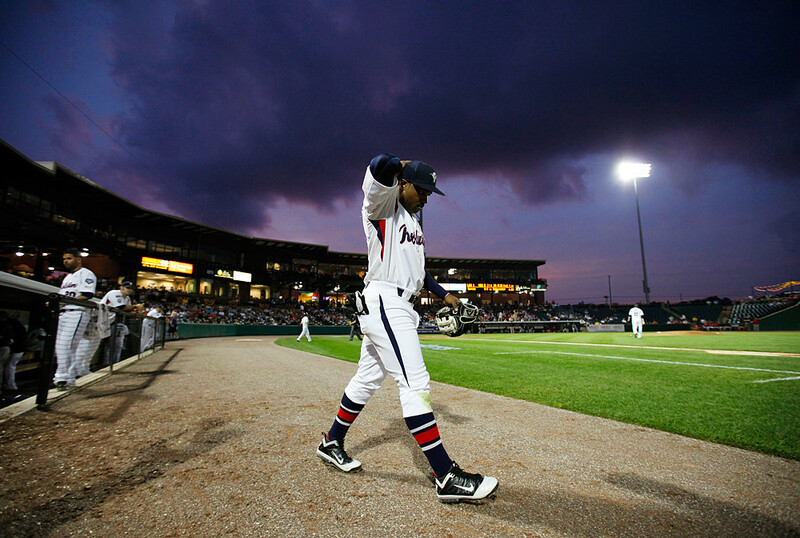 The York Revolution defeated the Long Island Ducks 9-6. …and, finally, becoming a back-to-back Atlantic League Championship team. © 2011 by The York Daily Record/Sunday News. 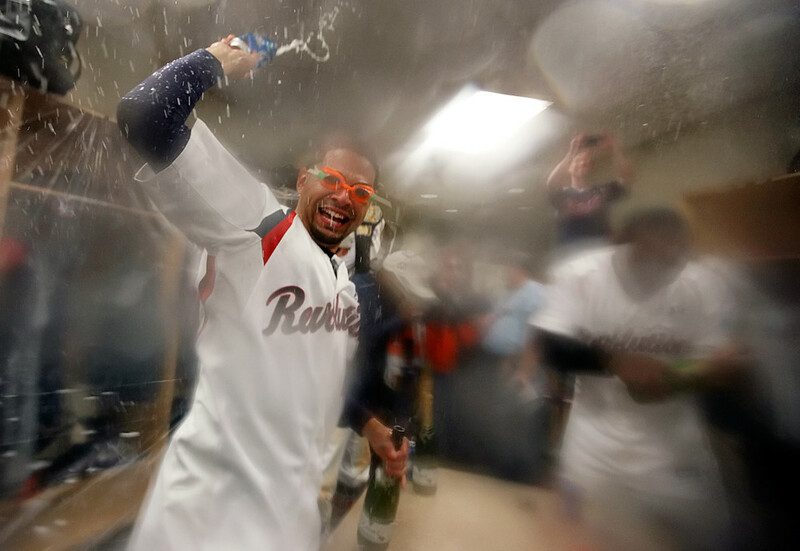 York Revolution pitcher R.J. Rodriguez celebrates with Champagne in the team locker room after the Revolution defeated the Long Island Ducks 6-3 in Game 4 to clinch the 2011 Atlantic League Championship on Sunday, Oct. 2, 2011, at Sovereign Bank Stadium. Who’s already excited for next year?